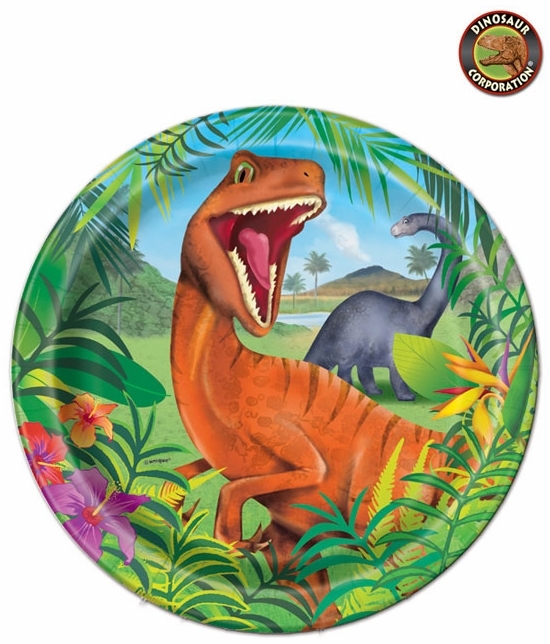 Prehistoric Jungle Dinosaur Lunch Plates 9"
Welcome in the Jurassic Jungle with Prehistoric Dino Lunch Paper Plates showing famous T-rex and long neck Brachiosaurus. Let's celebrate! It is a Birthday Party Time!